Some of my favorite posts to read on the Internet are what you bought- whether it's from Amazon or Nordstrom...I wanna know. 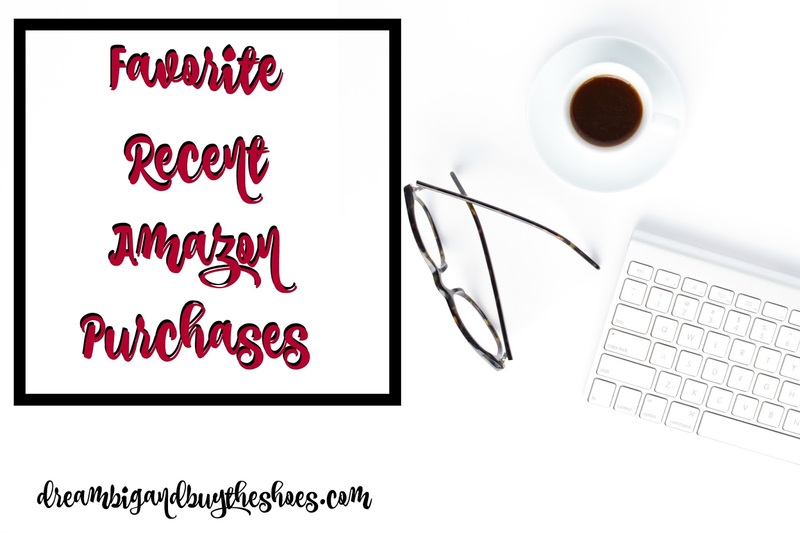 So, today I'm sharing some of my favorite recent purchases from Amazon, because life revolves around Amazon Prime ;) I think this will be a reoccurring post going forward, because I really enjoy sharing my honest opinions on a bunch of random items. After pulling out a ton of cooking ingredients last week to prep for Thanksgiving I got a little overwhelmed with all the bags and containers, so I hopped on Amazon and ordered these. I took some time to organize everything better and be more prepared when in the kitchen. There's a nice variety of sizes and I stored everything from sugar to granola and everything in between. The lids come off easy and there are two options on either side of the lid to pour things out. I wanted to try these wipes for Bella because they are fragrance and alcohol free. We had some other brands that were gifted to us, and while those work...I really am liking these better. Anything that is safer is a thumbs up in my book, and while I would use a few of the other wipes in one diaper change to feel like she was clean enough, I only need one of the water wipes. Another alcohol and fragrance free baby purchase for the win! I keep one of these on Bella's changing table for a quick clean after changing her diaper and one is in the living room for easy access. I also purchased a travel one for the diaper bag and love that this doesn't dry out your hands. If you can sense a theme around here, it's one about trying to be a little safer where we can. I have read for a while about how bad dryer sheets can be for you. Finally, when it was time to prep for Bella's homecoming I did some laundry and ordered this set from Amazon. The price was right to test out the whole dryer ball and oil thing...and we are loving it. The dryer balls work really well and this oil smells great and I only re-apply it to the dryer balls about every 3-4 loads. The laundry smells nice and we are being safer on our bodies...it's a win-win! This was purchased months ago, but I wanted to give it some time before I shared an honest review with all of you. Well here it is- go order this soap now. I have switched from all my other facial cleansers to strictly this for everyday normal use. While I would see some reside left when using a toner or some micellar water after cleansing before, that doesn't happen now. I still have some skin issues- large pores and all the woes that come with combination skin...besides all that I feel that my skin has never felt better. I highly recommend this, but a tip- order early....it takes forever coming from China, but it's SO worth it.